I have been searching for an affordable Christmas meal with Brussels sprout because it would not feel like a Christmas meal without them. Then I found it. 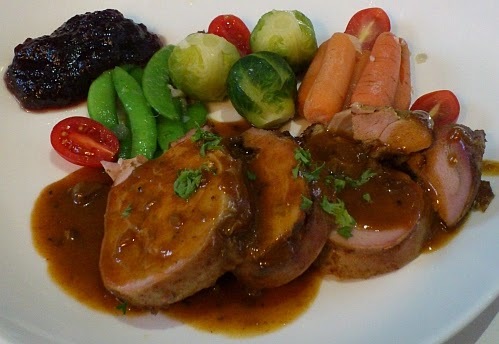 Turkey, Cranberry Sauce, Brussels sprouts (only 3 green balls), Baby Carrots, Baby Tomatoes, Sugar Snap Peas. The Brussels sprouts taste exactly like how I remember them to be. Nice! 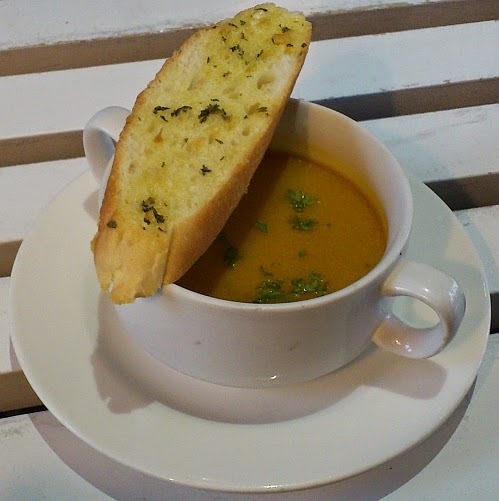 As this is a set meal, I get a slice of garlic bread and pumpkin soup before the main dish. 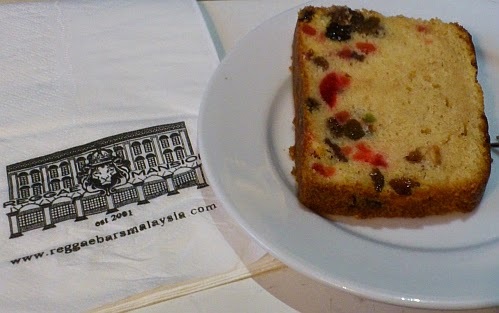 I am lucky that dessert is just a thin slice of fruit cake - buttery with alcohol taste - or else I would be too full. Best of all this set meal only costs me MYR25 nett at Reggae Mansion KL. There is a nice internal courtyard if you prefer to sit under the sky. It has a glass roof so you won't be drenched when it rains. Oh I love Brussels Sprouts - especially baked in the oven. You found a great value meal. I have only eaten boiled ones. RM25 ONLY????? Are you sure? Wowwwwww!!!! Now that's a steal! I myself was surprised by the price! Wow, RM25 only? Very worth it wor.. Nice.. A complete Christmas dinner with rum fruit cake somemore, I like.. Very worth it I agree. 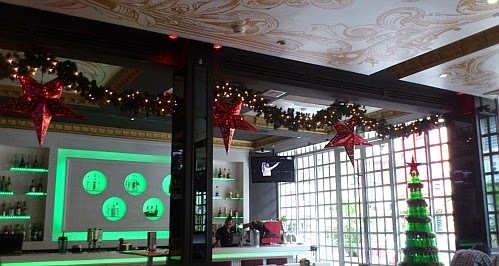 RM25 for a Christmas meal? That possible in KL?? Superb! I also don't believe it is possible until I saw the price. This set meal is a steal! Lovely meal. I love brussels sprouts. 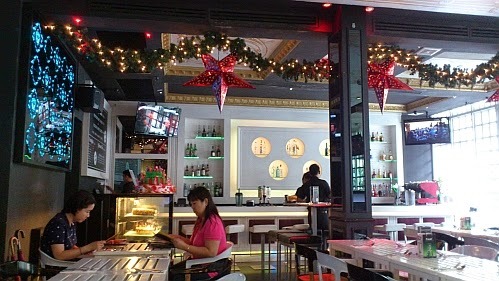 A lovely place to enjoy your delicious, yummy Christmas meal...for only RM25/-. Have a happy weekend. Hope your weekend is good too. This set is dirt cheap. I thought you would have paid alot of it. 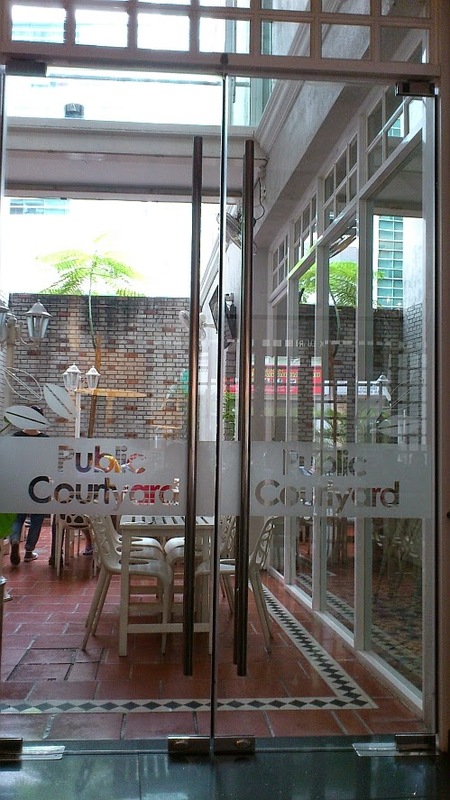 RM25 for a 3-course meal is indeed a steal! Normally, for RM25...can only get the starter...hehehe!! i had my turkey meal with brussels sprouts on Christmas eve! yeapzz...Christmas isn't Christmas without turkey and brussels sprouts! haha! I don't know how to enjoy or cook Brussels sprouts. But I did have an enjoyable Christmas dinner with Brussels sprouts. Didn't know it's a tradition with turkey! I believe in UK brussels sprouts and turkey is a traditional Christmas meal. Only rm25? Was thinking it'd be a costly meal for sure, esp around Xmas time! Heh not so many like brussels sprouts. I'd happily steal a few bites just coz they're rare here, but really I do find them bitter and strong-smelling. It is the special taste that I like. Bitter? But it is not like bitter gourd. RM 25!!! That's an amazing price for a meal like that, with dessert to boot! It's quite expensive here, around RM 30 for a handful. Imported veges, sure will be expensive.